FODMAPS are complex carbohydrate chains with some evidence linked as triggers for irritable bowel syndrome (IBS). Avoiding FODMAPS can help a patient experience fewer symptoms such as bloating, abdominal pain and changes in bowel habits. 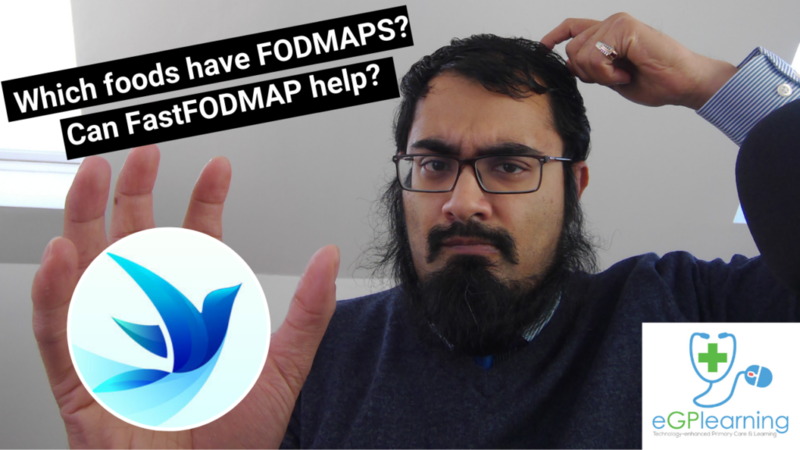 Understanding which foods have FODMAPS, however, is complex. This episode looks at how using an app this can be supported, including some extra information about games in the app and cautions on using it. Click the image below to see the full video.